Gold is a kind of metal that even in the most terrible financial times claims to worth its value. That is why a lot of individuals prefer to make investments in the form of jewelry. The market value of jewelry keeps on changing frequently that is why it is a good choice to purchase it when the price is low and sell it when the price is high. But there is one problem that many people’s face when trying to sell their valuables and that is finding a gold buyer that will offer the highest possible price for their precious metal. 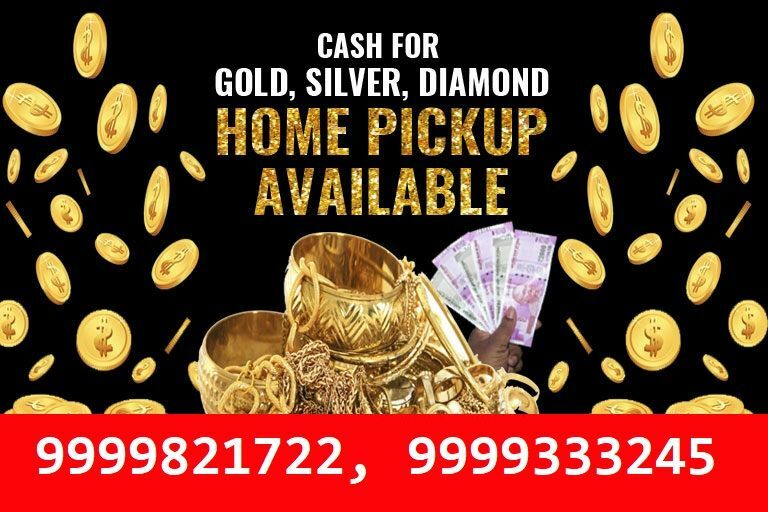 If you are looking for a reliable and trusted ornament buyer then you have come to the right place because here we buy gold and silver at the best price in Karol Bagh Delhi. It takes quite a lot of time to find a trustworthy jewelry buyer who will offer a fair value for your jewelry so if you found us by chance then there is no need to go anywhere else cause we are the best second-hand jewelry buying retail market in the Delhi NCR area, we buy any jewelry at the highest rate in Noida, Gurgaon, and Karol Bagh Delhi. There is not any better place to sell your precious gold, silver, platinum, or diamond ornaments other than us in the Delhi NCR. We buy jewelry from you and offer you money that is best in the business. Trade on your old and scrap jewelry with us and get the best deal that you probably can’t find anywhere else in entire India. Another good facility that put us head and shoulders above the rest of the competition is our quick and instant buying procedure, Our buying process is pretty transparent and quick so if you are in need of some instant money then you do not need to come to our shop again and again to claim your money, you will get your money on the same day you visit us. If you are interested in doing a little business with us, then visit us at Gold Buyer in Karol Bagh for more information. Also, speak to our executives and get the highest offer for your old valuables. Contact us on 9999821702, 9999821722.